You’re an idiot. It’s nothing you can help, I understand that. You just don’t have the vision that someone like Anthony Vine does. REMNANTS is a brilliant encapsulation of Vine’s collaboration with a variety of musicians, from soprano saxophonist David Lackner on the vast, twenty-minute opener “Duo” to the six-piece fourteen-minute piece “North.” These sounds are fully contemplated, fully realized, and the result is a modern classical/modern jazz/ambient slow burn that requires your undivided attention to fully suss the whole thing out. The tension inherent in the four tracks is almost unbearable, as Vine and cohorts stretch their sessions to the breaking point, and you’re left wondering, hoping, that they’ll resolve into something you can wrap your head around. But remember, you’re stupid, you’re an idiot! No resolution for you. And this is how it should be, your breathing and your circulation tied explicitly to REMNANTS. You’ll need an EKG machine to monitor whether you’re able to handle the deep, subtle changes Vine and crew hit you with throughout this tape. In fact, are you even breathing? Or is it Anthony Vine’s guitar doing the breathing for you? I wouldn’t open your eyes, you’re in an iron lung, and REMNANTS is guiding you toward the light. Go toward it. You have no purchase here on this plane of existence any longer. 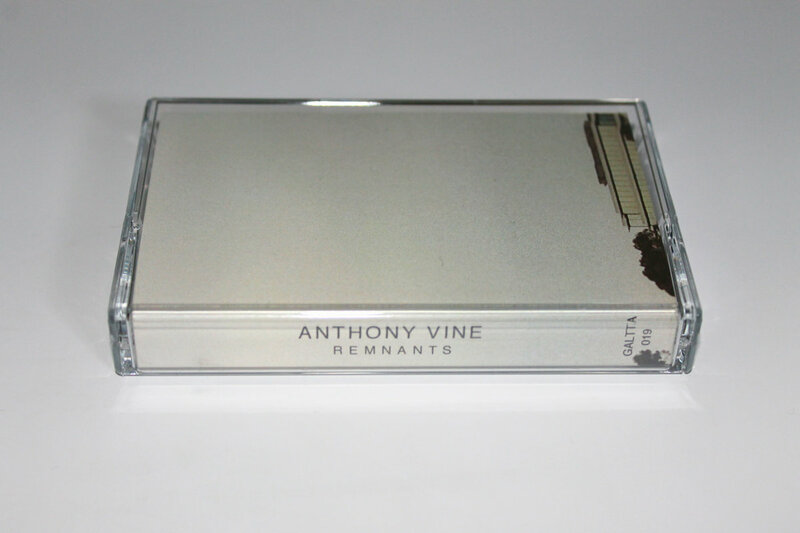 You’ve suggested, in your will, that your descendants should buy this tape, though, right? If not, I’ll tell em.